Soup of the week: Green soup | Simply called "Food"
Winter was back last week so I felt like having a hearty soup that has the colour of the grass. But with spring, comes the asparagus. So I thought of combining it all an make an all in one soup. My daughter is not a great fan of red lentils, that’s why I always integrate it in a way I can hide it. Also by adding it to the soup, I add proteins. Melt the coconut oil over medium heat and add the onion. Stir them for 5 minutes until they start to become clear. 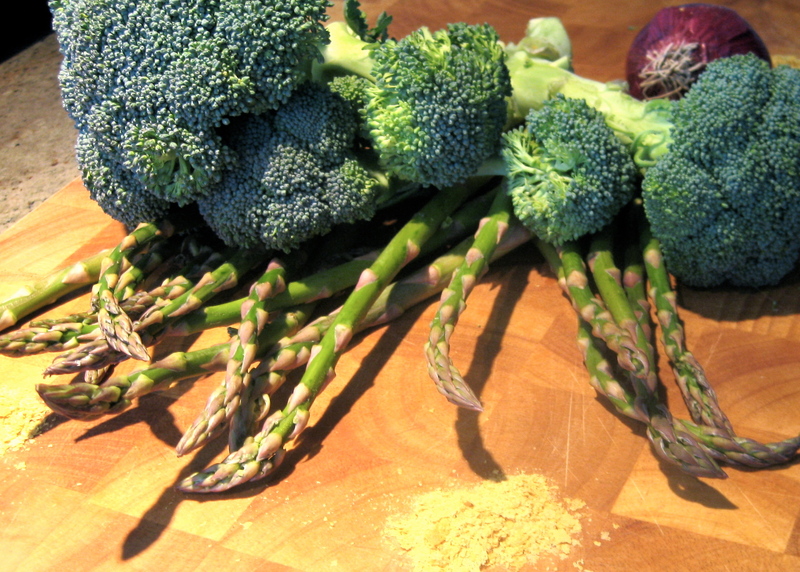 Then add the broccoli, the asparagus, the red lentils, the curcuma and the nutritional yeast. Put some salt and pepper. Add 2 cups of water and scrub the bottom. That way you are building your broth. Bring it to boil and add 2 more cups of water. Again bring it to boil and add the balance of the water. Let it cook for 20 minute. 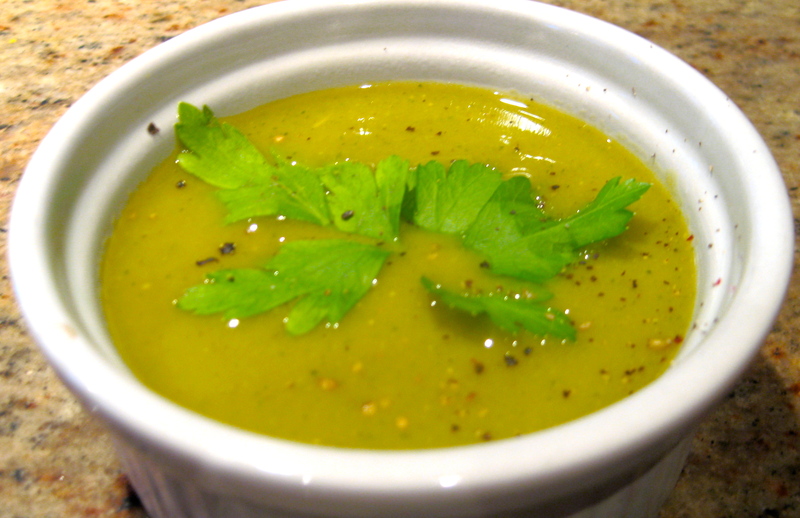 With a hand mixer or with a food processor, blend the soup to cream it. It’s quick, easy and no argument! Tags: Asparagus, Broccoli, Legumes, red lentils, Vegan, Vegetarian. Bookmark the permalink.